Gary C. Bublitz has over 25 years of professional experience in photography. Since 1988 he has owned and operated Bublitz Photography on S. Mason St. at Court St. in Saginaw. Prior to establishing his own studio, he photographed for The Saginaw News. Gary has also taught photography at the university level. 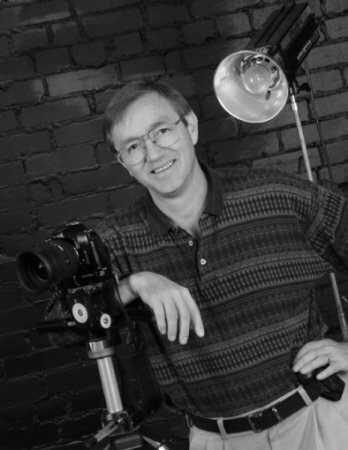 In 1999, Bublitz was the principal photographer for the book "Saginaw County - Visions of the Valley". Bublitz's current endeavors include portrait, commercial, wedding, magazine, and aerial photography and he has a two-person support staff at his Westside Saginaw studio. He maintains and constantly adds to a collection of photos of area landmarks and scenic wonders. Bublitz earned a bachelor's degree from the University of Michigan at Ann Arbor and he holds a master's degree from Saginaw Valley State University. Bublitz Photography's customers range from Fortune 500 companies, to national magazines, to the family next door.